CSA Centers provides the medical procedure of CoolSculpting to its patients. CoolSculpting is a non-invasive fat reduction procedure with no downtime. CSA Centers entered the growing aesthetics industry in late 2013 with the goal of becoming the largest provider worldwide of CoolSculpting. In early 2014 CSA contacted SpringSEO to see what could be done to boost their online presence and increase conversions of prospective patients who visited their website. Utilizing a multifaceted approach, including a website overhaul, indepth onsite and offsite SEO improvement, launching multiple social media campaigns, and implementing a robust PPC campaign, SpringSEO assisted CSA Centers in reaching their goal. 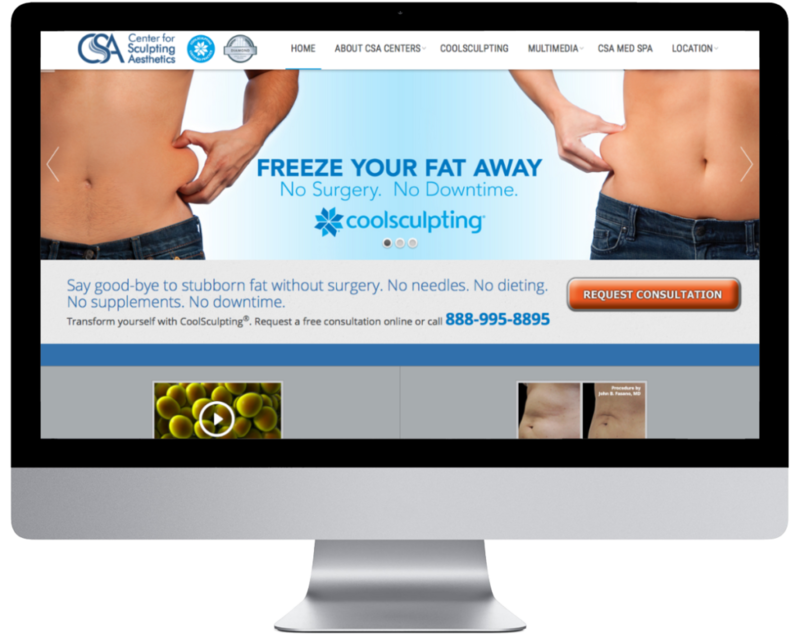 Within six months CSA Centers had become the largest CoolSculpting provider in the United States and by eight months in practice they were the single largest CoolSculpting practice in the world.